Plant production at the Community Nursery is in full swing with volunteers aiming to grow 20,000 local native plants to help revegetate Geraldton’s natural bush and beach areas this year. City of Greater Geraldton Mayor Shane Van Styn said the Community Nursery is steadily ‘growing’ from strength to strength. “Following the well-attended Volunteer Open Day in October last year, the number of nursery volunteers has grown to well over 40 who have all shown a keen interest in acquiring new skills,” he said. “Recently, volunteers ranging in age from 13 to 82 attended a propagation workshop to learn the secrets behind successfully growing our very diverse native plants. Volunteers have already put their new knowledge to use when the first seeds ‘hit the dirt’ before the Christmas. Now that the break is over, propagation will begin in earnest. Community Nursery participants (from left) Kyle Cleminson, Anna Beyer and Roslyn Kelly use skills learned at a propagation workshop to prick out and pot on seedlings. If you've ever looked in the real estate section of a Geraldton publication, chances are you've come across Lara Sadowski's smiling faced. She's been selling real estate for the last decade in Geraldton, and has consistently been ranked as one of the most successful sellers. I first met Lara on the very week Everything Geraldton launched in 2012. It was at a business networking meeting. Lara happened to be chairing the meeting, and I remember clearly thinking 'wow, this person is pretty dynamic.' She had control of the room, confidence in herself, and achieved it all with a warmth and calm that made others feel comfortable. When I learned of her real estate sales success, I was not surprised in the slightest. Every time I've spoken with Lara since then, she's been equally engaging. I have long had the goal of speaking with a number of active, successful, or interesting people in Geraldton, and learning a little more about what makes them tick. Lara was kind enough to grant me some time out of her busy schedule. As I sat down with Lara Sadowski in the Geraldton Property Team offices, a coffee was brought in for me. It was a Moccona. Lara sent it back and asked her staff to bring a "proper" coffee. As I chatted with Lara for the next couple of hours, I would learn Lara has no problem doing things the hard way if the result means a better outcome. Lara Sadowski was born and bred in Geraldton, a child of European immigrants. She says her parents were both very hard workers. She attended St Francis Primary and then Stella Marris, now called Nagle. Her original plan was to become a school teacher, but that didn't quite pan out. "I mucked around too much in year 12", she recounts. "So my TEE scores weren't high enough." That sent Lara to TAFE to redo year 12, which was where she stumbled across dental nursing. "There were 250 applications, 15 positions, and I was the only country kid." The fact that Lara can remember those numbers so accurately points to her sense of accomplishment. A relationship back in Geraldton at the time made sure Lara did her best to land a position back home once her studies were finished. She worked in the school dental service upon her return to Geraldton. "The school dental service was very boring," says Lara, clearly not a fan of a cushy job. "Just checkups, fillings... it wasn't challenging. Because it was government as well, there was no drive to work." The disconnection between her income and how hard she would work used to drive Lara mad. "So I ventured out into private practice. I was working in the school dental service by day, and for Chapman Road Dental at night, with Jim Hu." After the nurse working for Geoff Noonan at Chapman Rd left, Lara took the position, and was there full time for 14 years. But even that full time position wasn't enough to keep Lara from becoming restless. "While I was doing that job I was working at Video Ezy. I'd finish work at 5:30, jump the fence, literally, then work 6 to 9 at night at Video Ezy. I did that for about six years." Lara's life philosophy begins to show through at this point. "If you want things in life you've got to work for them," she says. "I've always been one to get what I wanted myself." Her emphasise was on the I, not the wanted. "I haven't been one to rely on someone else to get it for me." Lara also spent time working at Price Attack, and running a night time dental nursing course. So how did Lara find herself going from dental nursing, plus two other part time jobs, being an owner of a real estate firm? It seems it may have simply been a case of noticing what someone else had, and asking what she had to do to get that too. Lara says she had a "very very dear friend", named Natalie, who at the time was working for Kalazich Smith Real Estate. Lara couldn't help but notice that her friend's income was a lot higher than what Lara was pulling in, despite working three jobs. "So I approached Warren Kalazich and asked 'What do you think if I got into real estate' and he said 'I think you'd be great.'" Lara has a tenderness in her voice when she recounts her conversation with Warren Kalazich. "He was a dear family friend, and he backed me financially. It was a roll of the dice for him." Even today, Lara still looks to Warren as something of a mentor. Within the year Mr Kalazich retired and sold the business. Around that time Lara made the move to Geraldton Property Team, having been approached by the owners at the time. She didn't leave immediately to join GPT, due to a goal of staying the full 12 months to give herself the best chance of winning Rookie of the Year in sales. Had she moved offices early, her sales count would not have carried over to her new employer. But the transition to GPT wasn't perfectly smooth. Some internal issues and office conflict resulted in departure for GPT before the full 12 months was done. But Lara still managed to win Rookie of the Year, "and came third for the whole of Geraldton," Lara recalls. Quite the feat for an industry newcomer. But while those who didn't know Lara personally would have only seen an extremely successful sales rookie, with a growing income, plenty of employment prospects, and a bright future, Lara's private life was going through a very rocky time. Lara's father, a local business personality, took his own life. This had a strong impact on Lara, and not too long after, Lara also lost her marriage. Coupled with a change of employer and the stress involved in leaving her previous place of employment, she clearly had a lot to deal with. So how did she cope? "I reset my whole life, and outlook and everything. I went on a few courses, personal development courses, Cre8. I also went to a lot of real estate courses and seminars on my own. I'd jump on a plane and go to Sydney. I really just started to broaden my mind." "So that was about 12 months of soul searching, but I was still doing very well in real estate. My career had taken off big time." "And then I met an ag pilot." Tim Greenaway was his name. "So life is back on track. I met this amazing man." "He was over here flying, doing some jobs. We met and fell in love. He moved over from Byron Bay and he started real estate with me. He wanted to give up the flying because it was dangerous, you're flying low, power lines... health wise it wasn't good for him." "So he gave it up, started real estate with me. And he came home one day and said 'look, a farmer just wants me to do a quick job, it'll be some quick cash'. " "That was the last time I ever saw him." It was a Tuesday in September 2010, when the crop duster Tim was flying crashed near Northern Gully Road, in Chapman Valley. My attempts to convey what someone must have felt using written words are sometimes completely futile. This is one of those times. "I took four weeks off. The office was very supportive." Having said that, Lara admitted her P.A. left upon her return to work. So that was another setback. But something odd happened upon her return to work. She was able to hang on to all her clients. And in addition to that, new clients came on board. Lara said it was because people saw her as a strong person, who had overcome such a tragedy and still kept moving forward, that they sought her out to be their real estate agent. I questioned whether she knew this for a fact. "So it was the feedback of my determination to move on with my life... see I could have hung my boots up, Jason, and said 'I'm not doing that any more.'" I asked, "Was it a conscious decision (to not quit), or was it just never on the cards?" Lara responded in a flat, calm voice. It was a tone that was vulnerable, and lacked any inflection, emphasis, or meter. It was the kind of somber tone you would use in a confessional with a priest. "I had to work very hard mentally to do that." That it didn't come easy for Lara, someone gifted in so many areas, reminded me she is human. Financial or business success is no insulation from the trauma of life. It was no given that she would manage to get out of bed each day after such a loss. Yet that was the path she had chosen. We chatted about professional help after dealing with traumatic events. "In life we bottle things up, and that's why everyone has melt downs. I mean, no one escapes break down. I was never diagnosed as someone having a mental breakdown, but you know in yourself ... when you're not your usual self, and you think 'wow, this is not me'. So when you speak to people, professionals, who know what questions to ask, it's amazing how good you feel." Lara continued on in her sales capacity at GPT for two years, then discussions began regarding succession planning. Lara Sadowski, along with David Potiuch, and Mairi and Jim Quinn, would end up becoming the new owners of GPT. Even as an owner, Lara still works in a sales role within Geraldton Property Team. Part of chatting with Lara was an attempt to learn who she was outside of work. What I learned was that Lara doesn't ever really stop being Lara the real estate agent. "I love it. Any team member can call me any time. I work seven days a week." Lara said her and her partner, Warrick Nevill, will work every single day for eight weeks, then perhaps head to Perth for the weekend for some time off. But she admitted she still enjoys some downtime, and shared of her new tradition with Warrick to try and catch a movie together on a Thursday. Lara acknowledged that if she was married to someone outside of real estate, the marriage would fail. "Certainly I've got more work-life balance since I've been with Warwick, which is the last four years." She calls Warrick her best friend, and enjoys being able to work with him. They say if you find a career you love, you'll never work a day in your life. I guess I was surprised to actually meet someone so passionate and committed to their profession that they didn't really try to switch off from it. "My work is my passion, it's my life." Hi there. I am currently located in South Wales, UK. I am trying to get back in contact with my family ... who lived in Rangeway, Geraldton in around 2007. The father of the family in question is named David Kerry Evans and is my great uncle. He and his family emigrated from South Wales, UK in 1974 and this was the last time they were seen by their family. We have had an enormous amount of help from a resident in WA who has managed to confirm the death of Simon John Evans (son) in Karratha in 1987 and that the family did indeed live in Geraldton. It would be very helpful if you could please ask your group members if anyone remembers the Evans family and if they have any idea where they are now. David Kerry Evans, his wife Gillian, his son Simon John (deceased) and daughter Elaine. Australian cricketer and TV personality Max Walker has died following a battle with cancer, at age 68. Wikipedia: Walker played 70 first-class games for Victoria and 38 Tests for Australia, taking 138 wickets as a medium-fast bowler. He played in 29 ODI's between 1974 and 1981, including matches during World Series Cricket from 1977 to 1979. His strange bowling action, particularly the way he moved his feet, earned Walker the nickname of "Tangles" or "Tanglefoot". Walker became a member of the Order of Australia in 2011. Kathleen Nelly with her Aboriginal Student of the Year award – and others she has earned over the past two years! Kathleen Nelly has achieved a great deal since beginning work at Bundiyarra in 2013, and in April this year, she was named Durack Institute of Technology’s Aboriginal Student of the Year. 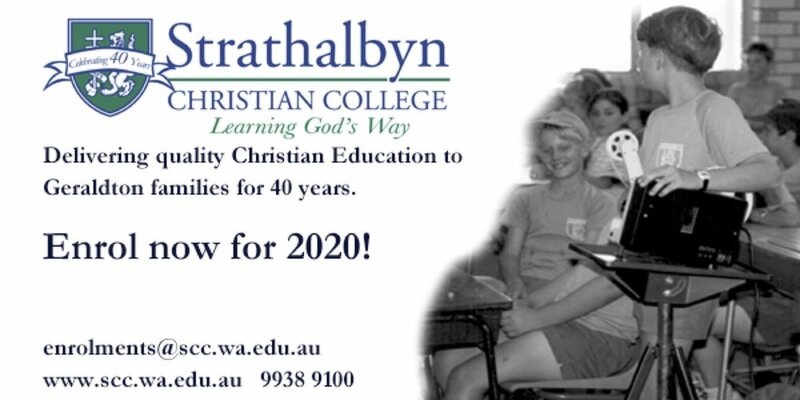 Through a work placement at Bundiyarra as part of her Business Certificate II, Kathleen became a fulltime employee. 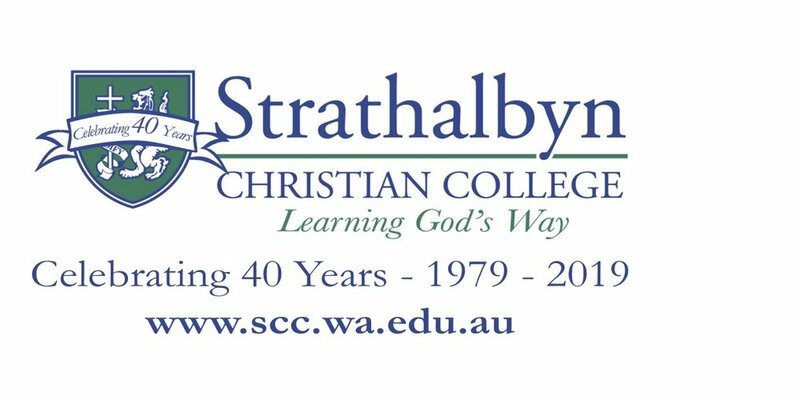 Last year, Kathleen returned to study the Certificate IV in Digital Media and Technology at Durack three days a week, while working at Bundiyarra for the other two, and was the recipient of three scholarships to help her on her way. She was awarded the 2015 Aboriginal Education and Employment and Training Committee (AEETC) Academic Careers Pathways scholarship, and the 2015 Rio Tinto Aboriginal Scholarship. 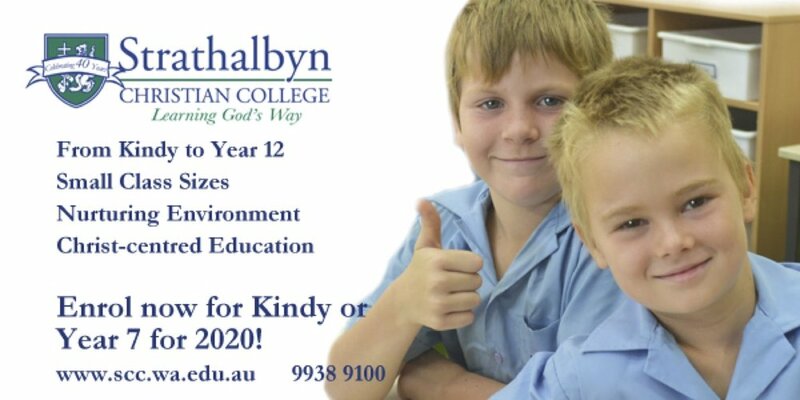 Kathleen also earned herself the 2015 Mid West Development Commission Certificate IV in Digital Media Scholarship to continue her studies at Durack Institute. Kathleen, 21, has achieved what she set out to do and is now working fulltime at Bundiyarra once again as Administration Coordinator. Kathleen said she is thrilled to have successfully completed her studies and looks forward to using her new skills as part of her full time role. 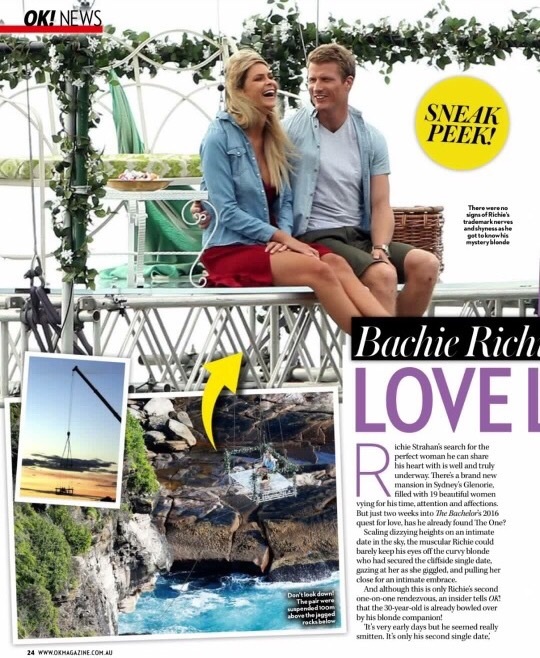 Geraldton girl Megan Marx appearing in upcoming series of "The Bachelor"
Geraldtonian beauty Megan Marx was recently spotted by friends of hers in an issue of OK Magazine, showing her upcoming appearance in Channel 10's 'The Bachelor'. OK! didn't know the woman's name that they had pictured, but reported the "curvy blonde" certainly caught the eye of the star of the show. The upcoming series of The Bachelor stars a former contestant on The Bachelorette from Perth, Richie Strahan. Megan Marx, who hails from Geraldton, has done modelling work in the past and currently lists her place of residence as Perth.